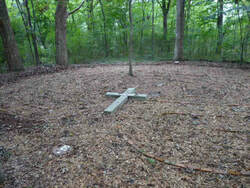 ​The community is welcome to walk the labyrinth in the woods behind the church building. Walking the labyrinth allows time out from the stress of a busy life and a place to commune with God. The use of the labyrinth for spiritual renewal dates back to the 11th and 12th centuries and had been reintroduced as a powerful tool for prayer. The labyrinth is not a maze, but a single path leading the seeker into the center and back out again. The labyrinth pattern at Saint John is known as an expanded center 7-circuit Cretan labyrinth. It was built in 2001 as an Eagle Scout project. We invite you to join us on Tuesdays, at 10:300 a.m. when we gather for Centering Prayer in the sanctuary at St. John Lutheran Church in Griffin. After spoken and silent "letting-go" prayer in the sanctuary, you will enjoy a light brunch with coffee while continuing to discuss Amos Smith's remarkable book, BE STILL AND LISTEN: Experience the Presence of God in Your Life. A copy of the Smith's impressive book is available for you to take home and read. The gift of teaching is shared equally among participants. Come; be with us! On Tuesday afternoon at 1:00 p.m. Theology on Tap gathers at Margo's Mediterranean Cuisine, 1136 West Taylor Street in Griffin. We will begin a new book entitled Why did Jesus, Moses, the Buddha, and Mohammed Cross the Road by Brian McLaren. Come, order a bite to eat, a glass of wine, a beer, or some tea, and enjoy an evening with friends.